This was a part of a class where we explored working with narratives in paradigms like virtual & augmented reality. As a team, we had a shared interest in seeing how we can use either of these media to create an experience to combat stress. 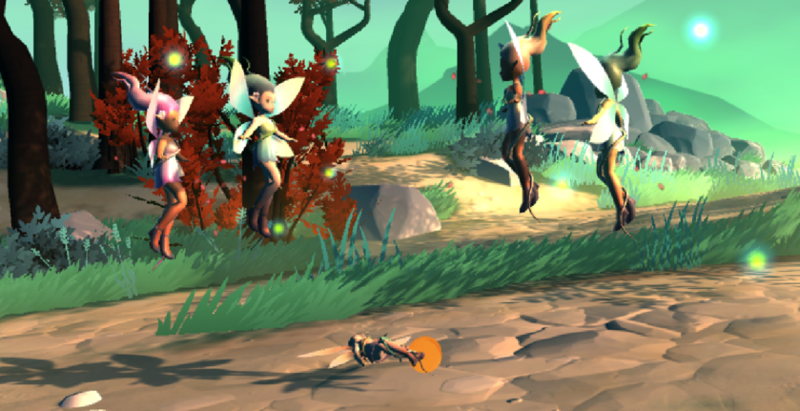 Fallen Fairy is a virtual reality exploration that uses a narrative framework involving fairies, to induce calming feelings in the interactor. The concept for Fallen Fairy was inspired by the results of a survey our team launched at the start of the semester on the topic of combating stress, something we wanted to alleviate through the use of virtual reality as a medium. The 59 survey responses informed us that respondents found exercising (including yoga) and listening to music to be the most effective stress relievers. 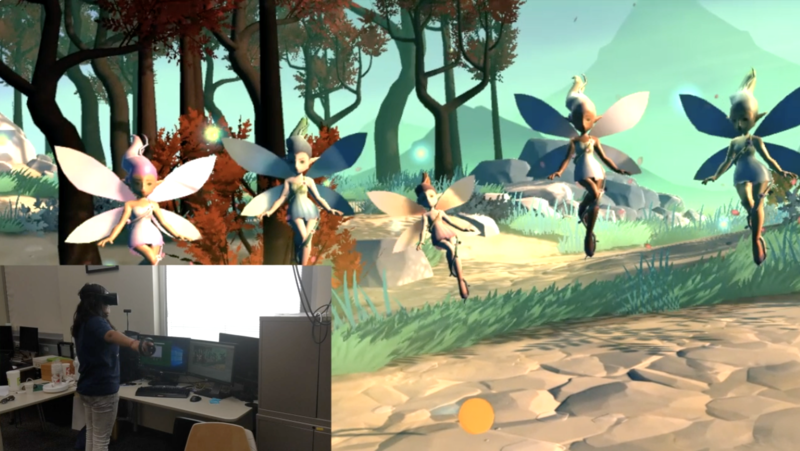 FallenFairy uses the Oculus Rift headset, with is put on by the interactor who is then immersed in a calming fantasy forest with a musical nature soundscape. The narrative starts when an acorn falls from the sky and hits a small fairy, flying amongst a group of fairies, on the head. She collapses from the impact of the acorn and the other fairies congregate around her, concerned for her wellbeing. The other fairies request that you flap your arms along with them (similar to flapping wings) to help heal her. As you follow their prompts, the system recognizes your gestures and the fallen fairy gradually rises and becomes fully healed! Our user testing feedback informed us that Fallen Fairy was effective in meeting our goal of relieving stress in the lives of interactors. 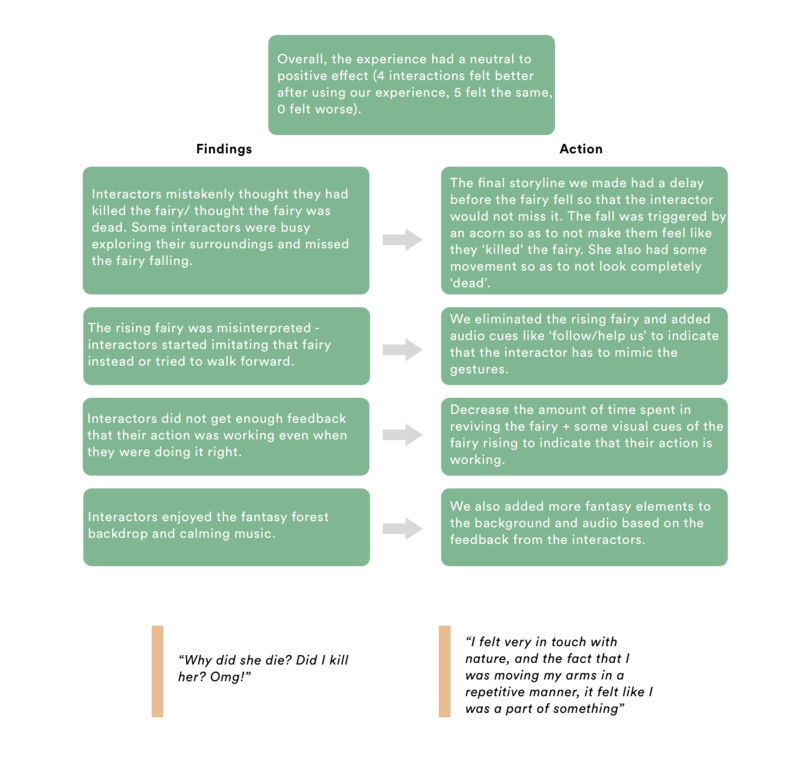 We asked them to describe their mood prior to, and following, using Fallen Fairy and we noted that the vast majority of testers' moods improved following the experience. 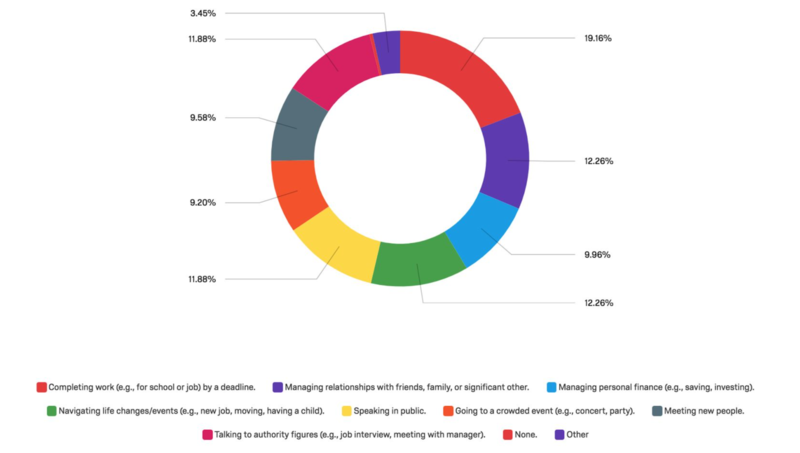 Our goal was to understand the common causes of stress and what people found most effective when combating it. 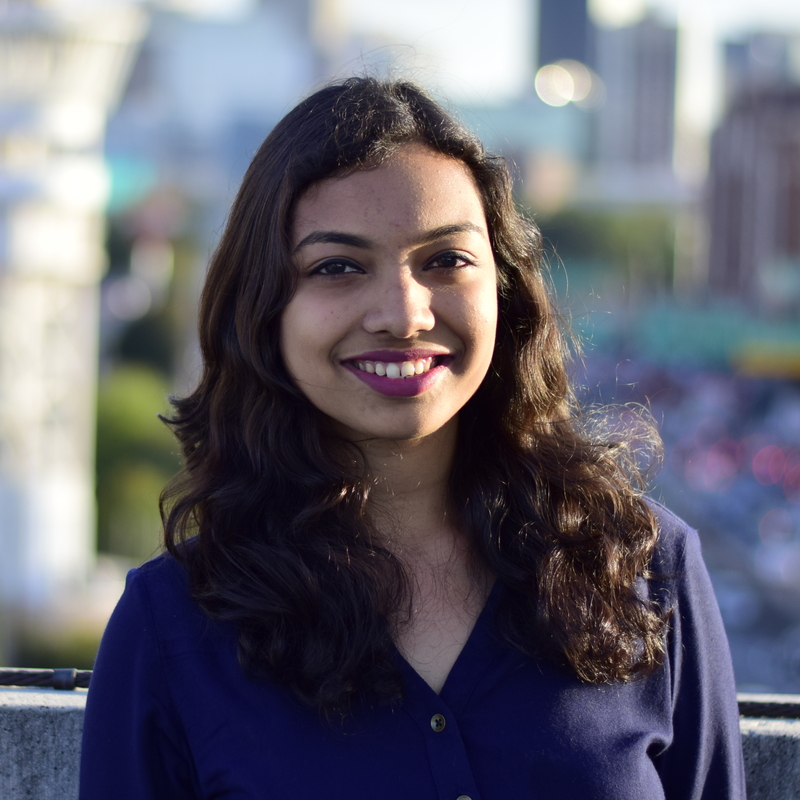 We wanted to get a broad variety of perspectives, and reach people across different geographical locations - hence decided to go for a survey. Based on this, we wanted our VR experience to incorporate some form of exercise/yoga and music. Note: While ‘talking to someone’ was a popular stress reliever, speech would not translate well in VR, breaking the immersive experience for the user, and hence this would not be feasible to implement. We then brainstormed different storylines and narratives that could help us incorporate these details. One of the team members had initially come up with the idea of a meditative space with blooming lotuses, and we decided to use that as a base. We wanted our environment to have a whimsical and calming feel. Our moldboard focused on soothing visuals such as waterfalls, running streams, colorful skies, glowing lights, and lots of greenery. 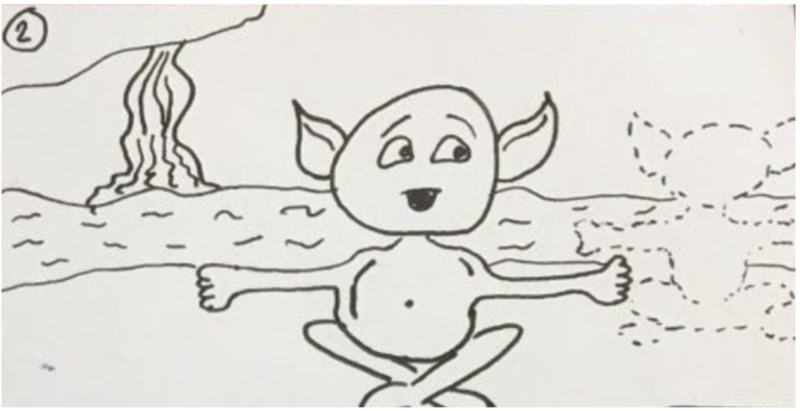 To incorporate the idea of exercises, we wanted to add a character to the experience - something human like which would be able to perform a simple yoga pose for the user to follow as a guide, but ‘elf-like’ to maintain a mystical mythical element - eg: fairies, elves, gnomes etc. We settled on a fairy. For the pose, we were restricted to only hand movements as Oculus has controllers only for the hands, as well as movements which would not make the wearer of the heavy headset dizzy - for example, having to bend down while wearing a heavy headset would have been difficult. As corroborated by our survey results, listening to music is a favorable way to de-stress; thus, we wanted to incorporate calming sounds and music into our experience. One of the inspirations behind using a scene with water was that the sound of flowing water would be relaxing and soothing. Other sounds would include birds and crickets chirping, leaves rustling, and having light, soothing music in the background. 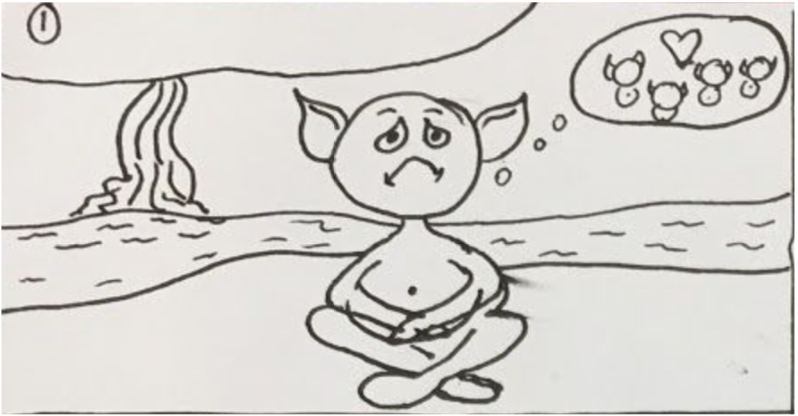 The initial storyline initially starts with a fairy or elf looking sad at being alone, indicated by a dejected expression and a thought bubble with other elves in it. 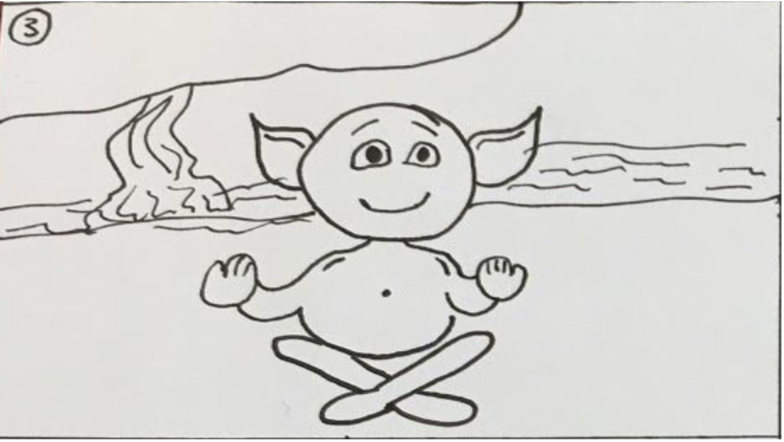 Our key moment of ‘dramatic agency’ is when the elf does a stretch/yoga pose, and another elf flickers. The original elf is excited at this, and gestures to the interactor with a hand gesture to help it make other elves appear. 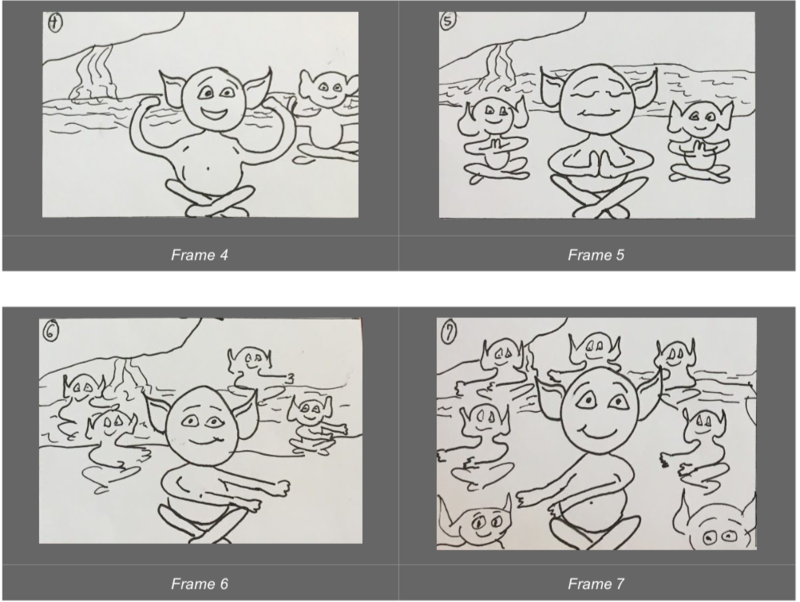 As the interactor follows the different poses the original elf is doing, the elf’s friends and family begin to appear and do the same poses. Finally, once all the elves appear, they celebrate at being reunited. 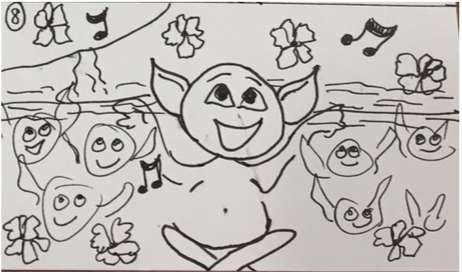 Our anticipation was for the interactor to be motivated by the desire to make the elf happy and reunite it with its community - and by its expressions of increasing happiness and contentment as more of the elf community appears. We iterated our storyline based on feedback and critique sessions with the professor and the rest of the class, and also took into consideration technical constraints we found as we developed the application. 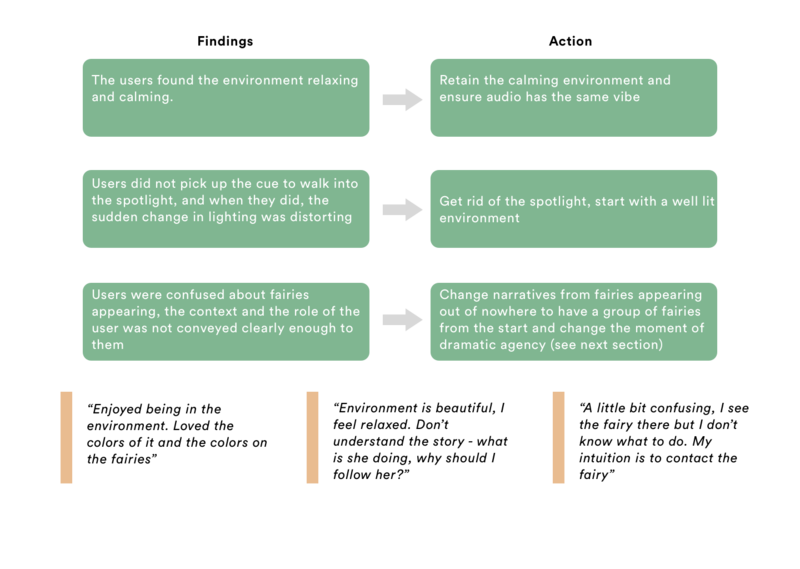 Our story begins with a group of fairies fluttering in a lit environment, with the moment of dramatic agency being one fairy falling and getting injured. 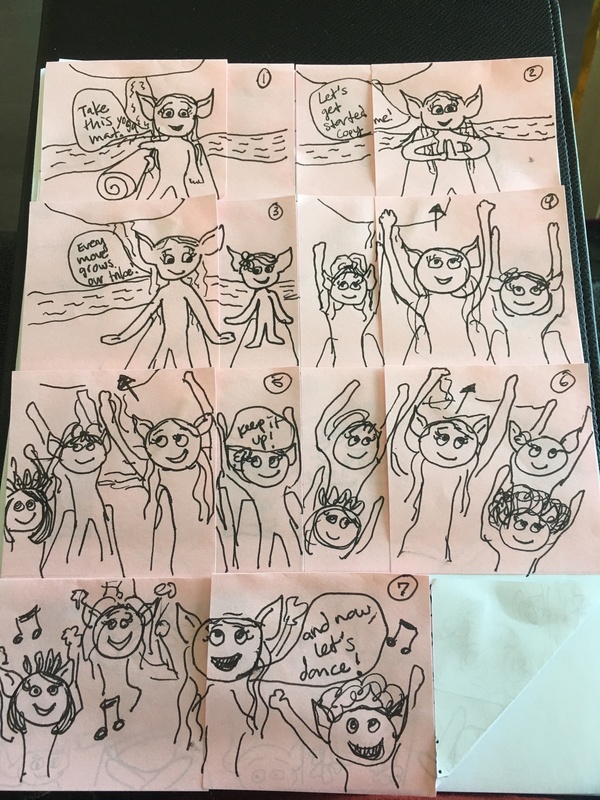 The other fairies congregate around her and start flapping their arms up and down in sync. As they do this, she rises a bit but not completely. One of the non-injured fairies rises and gestures towards the user to help by motioning them forward. As the interactor flaps their arms up and down along with the fairies, the injured fairy is revived. Thanks to you, she is fully recovered! You can check out the demo video above! 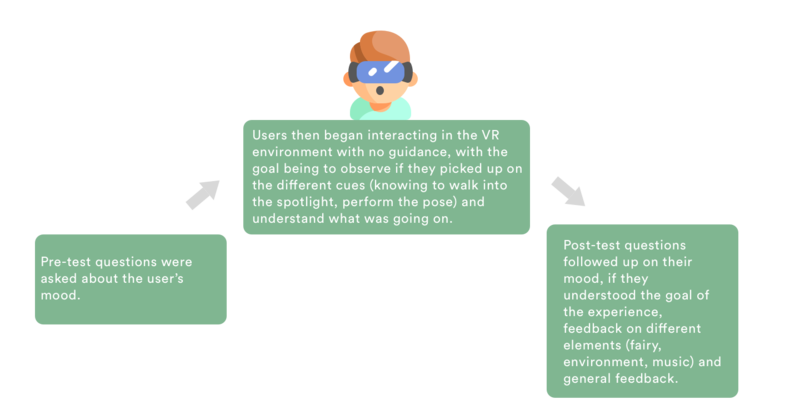 Creating affordances in virtual reality is far different from doing so in traditional paradigms.The moment of dramatic agency in the narrative is key to make the interactor understand what to do next. Some real world elements do not translate well in VR. Speech, for example, distorts the immersive nature of the experience. Tactile sensations are also not possible in VR (although controllers are being developed for the same). It is important to consider the interactor's natural instincts before placing elements in VR.For example, we wanted to situate a running stream as it would be soothing - but were advised not to as it would tempt the user to reach and touch the water, and once they did it would break the immersive nature of the experience.